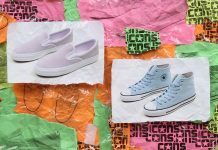 Converse and Tyler, The Creator expand their partnership for 2018, as we’ve seen many color ways release over the past year, this year will feature a new set in different tones and textures. 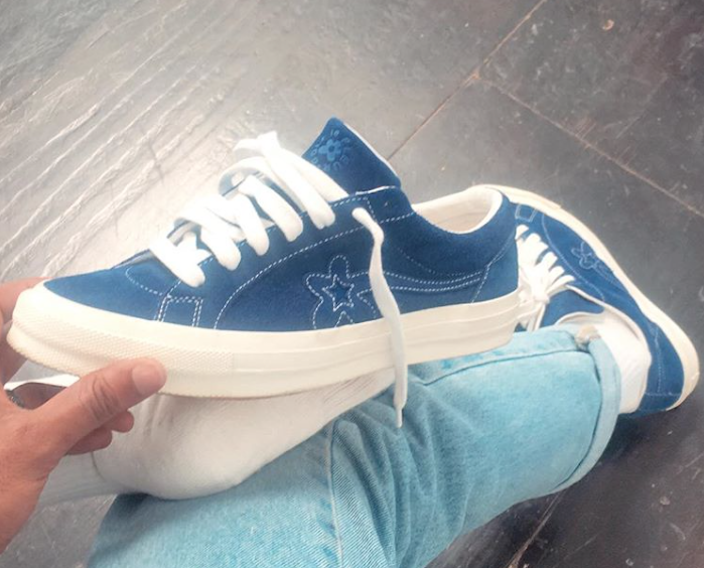 This Converse One Star comes in a deep Blue upper compared to his previous pastel blue, with his signature golf flower branding on the tongues and sides. White stitching is seen throughout along with White laces, inner liner and rubber sole. 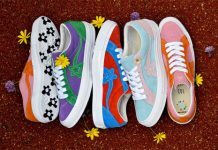 No official release date yet but expect more details to come from the latest Tyler, The Creator x Converse One Star Collection very soon.